As parents, many people concern about the happiness of their babies. That’s the reason why baby stroller is designed to provide deep naps to small users when riding on the road. The stroller is effectively used in many situations, especially for outdoor activities. Most of baby strollers nowadays equip handles to carry babies for a walk, in a busy street or airport. It is hard for children to sleep when they get tired. However, they will easily fall asleep with a good placement to relax. This is the basic responsibility of a baby stroller. In addition to the effectiveness of purchasing a stroller, there are several techniques to improve the quality of your baby sleep. A good baby stroller has to meet the demands of children in an effective way. It fits your babies well and offers an ideal place for easy breathing. Lacking of naps negatively affects different habits of your children, such as eating. Therefore, taking care of your baby sleep is an important task. There are two most popular issues that make your babies able to sleep. The first reason is that many strollers don’t come with recline seat position to provide the realistic sensation of sleeping. How can your babies sleep on the sitting up position? Another issue is that some of them lack of large canopy to protect your babies from weather conditions. Then, the small users will feel difficult to close their eyes for a ready sleep. 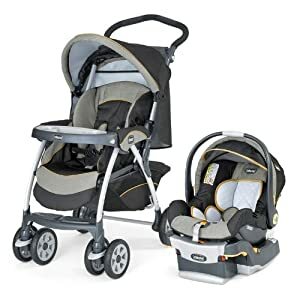 Let’s have a close look at our article below to discover all you need to make your baby sleep comfortably in a stroller. We all know that lying down is one of the fastest ways to make people feel easily asleep. A stroller with different recline positions guarantees to offer the best sleep quality to your children. It prevents babies from sitting up all the time riding on the road. Canopy plays an important role in offering dark spaces for your children. One fact is that some types of stroller don’t make their babies feel asleep with small coverage of canopy. It puts impact on your children eyes and is not a big deal any more. If you are confused by different stroller bands available on today’s marketplace, following is helpful suggestions for you. The model is designed in such an efficient way that maximizes the comfort to children. More specifically, it comes with recline seat for comfortable lying down position. Parent can check whether their babies fall asleep or not thanks to adjustable seat toward rear- facing or facing. This helps ensure the security of their babies. Other advantages of the modern stroller could be listed here, including storage space and parent tray. Parents will find it convenient to store all of their belongings into these parts. Another positive feature of the tool is adjustable canopy. It not only protects your babies from UV, but also provides large shade to make them easily fall asleep. 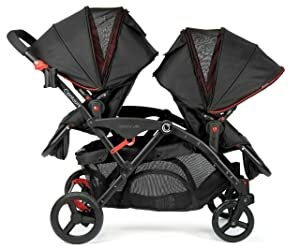 Another typical recommendation is Chicco Cortina KeyFit 30 Travel System. If you are looking for a comfortable place for your babies to sleep, this stroller is a great idea. Fully reclining position is the most impressive feature of the tool, which enhances its deep sleep quality. Combining well with large canopies, it protects your babies from UV rays and ensures to make them sleep better. Although each baby requires special stroller design, it seems that Chicco Cortina KeyFit is suitable for children at all ages. It equips padded seat to make small users feel completely comfortable in long time.